Hunting Prince Dracula is one of my most anticipated books of 2017 and it's finally here! I loved it and I haven't stopped pushing it on people since it came out on Tuesday. Tomorrow, we're really excited to be taking part in the Blog Tour so make sure to stop by for it. I have a fabulous post prepared for it that I'm so excited to share! Scroll down to read my review! 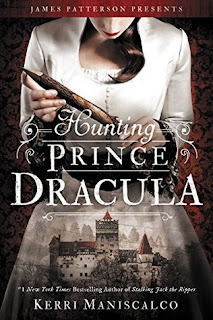 Hunting Prince Dracula continues a short time after the end of Stalking Jack the Ripper with Audrey Rose Wadsworth and Thomas Cresswell making their way to the best forensic medicine school in Europe. I loved everything about this book! The mystery, the gothic horrorness of the location, the adventure, the characters, Audrey Rose and Thomas working together, the banter, and of course, flirty Thomas. Let's be honest. We all needed more flirty Thomas in our lives. It was just so perfect! 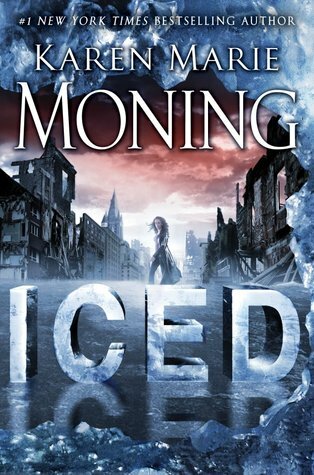 The wait for book three is going to drive me crazy! I sat down and inhaled most of this book in one day around work and my other responsibilities. The plot starts off with a bang and just keeps going! I had so much fun reading it! I loved how Kerri Maniscalco weaved together the pieces of true history and gothic horror elements to make such a compelling mystery! Also, the banter between Audrey Rose and Thomas is even better in this book than the first! Their relationship is absolutely fantastic in every possible way. I'm even more on board with the CressWorth ship after I read this than I was before and that's saying something. This book is full of suspense that keeps you on the edge of your seat to find out what's going to happen next. I know I said it earlier, but the mystery was seriously very well done. I kept making guesses and I kept being proved wrong. Let's just say there were a lot of surprises when the reveals happened. Thinking about it now, I probably should have picked up on a few things but I’m actually glad that I wasn’t even thinking in that direction because all the reveals were AMAZING! I totally flipped my lid at one reveal in particular! If you've read it, you know which one it is. OMG! I had to reread it like five times till it sunk in. Kerri Maniscalco’s writing is so detailed and atmospheric that I found myself easily imagining the castles and forests of Romania even though I don't know much about the time period or the place. What I loved the most is that the light tone from the delicious banter brought a much needed levity to a horror story that broke up some of the more serious moments and made it easier to stay on top of what was happening. To quote the book, “I am wholly bewitched” with this series. It is perfect! And I just need more Audrey Rose and Thomas adventures in my hands now! The author mentioned that she seeded clues to what the next book is going to be about in this one but I still have no clue. It doesn't matter. I'll still be counting down the days cannot wait for the third book when I can read more of Audrey Rose and Thomas's adventures! I seriously can't wait to see what mysteries they'll encounter next!